Marcus’s role in the TENS Programme is varied and offers autonomy, responsibility and scope for development in several ways. His role involves creating news and publicity messages for target audiences through the TENS Newsletter and TENS website. He is responsible for providing associated administrative support and assistance in the organisation of events, training and competitions. He also provides solid and consistent support to the Programme Director and other team members in the delivery of projects. He is a Programme Support Officer on the TENS programme. Marcus is experienced in developing project proposals and action implementation plans, organising training and capacity development programmes for new and existing companies and provision of technical advice and support services to educational institutions and departments in the UK and abroad. In addition to working with MRL Public Sector Consultants (Ltd), Marcus has worked with several UK companies in different capacities such as Managing Director, Teach House Limited, Luton; Managing Director, Sublime Contractors, Luton; Part-Time Lecturer, Ice Academy Bedford, Bedfordshire; Lecturer, Bedfordshire College, Luton; Health Advisor/Administrator, National Health Service (NHSD), Milton Keynes; Compliance Officer, NHS Professionals (NHSP), Watford; Marketing Assistant, GOJO Industries-Europe Ltd, Milton Keynes; Call Centre Administrator, NHS Professionals (NHSP), Watford. He has also worked in Nigeria as Marketing Manager, Minds & Lines Ltd, Plateau State and Teacher, Government Day Secondary School, Bauchi State. 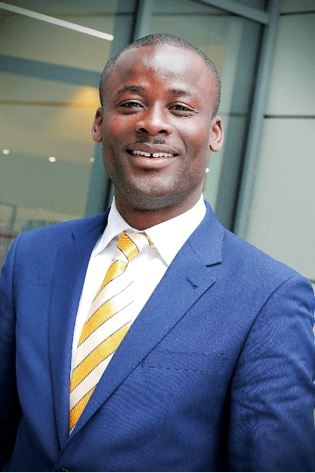 He holds a Masters’ degree in International Business Management from the University of Bedfordshire, Luton and a Bachelor’s degree in Economics. He is a certified Project Management professional.